P299305LF is rated 3.3 out of 5 by 4. 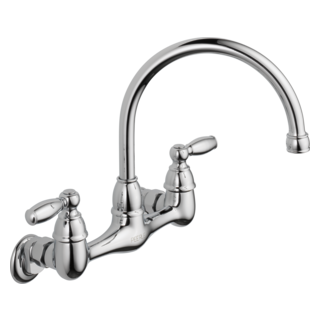 Rated 1 out of 5 by Jen from Faucet issue~ spout I am also experiencing trouble with to spout. We have had leaking at the base of the faucet where the "bonnet" is located. I have added more thread tape, tightened it, and have replaced the o-ring that I found was broken when I finally took it off. Now the entire spout flies off the base of the faucet when the water pressure becomes too much. This sink/faucet is used everyday. 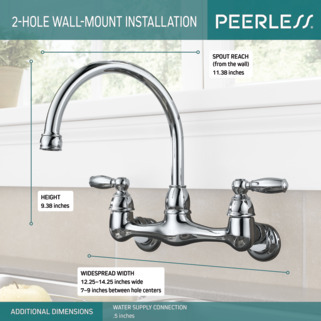 I purchased this about 6 months ago because it was an affordable wall-mounted faucet, but it has not been worth the trouble & time it has cost me. 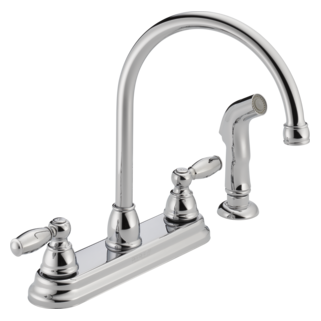 Rated 3 out of 5 by Anne from great faucet but flimsy spout/threads We love this faucet, but will have to replace it unless we can get just a replacement spout - we use a portable dishwasher & so have a custom aerator on the faucet, and it will no longer seal to the aerator. Just spent $40 for an OEM new aerator, because we assumed that was where the problem was, but it turns out it's the faucet spout threads. 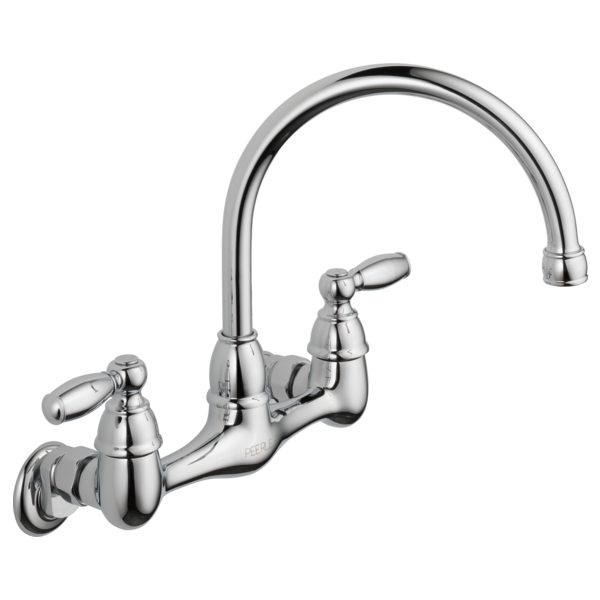 Wish we could purchase just the replacement gooseneck spout to avoid having to do a whole new installation! does this faucet also come in deck mount with a spray? Where to install separate shut off valves? What is the thread on the Aerator, I want to get a garden hose adapter. 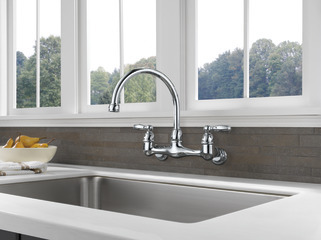 are wall extensions available so the faucet is a couple inches farther from the wall? I have a window over my sink with a ledge that sticks out. The curved faucet spout starts under the ledge so can't mount it. Is there a shorter spout available for this model? 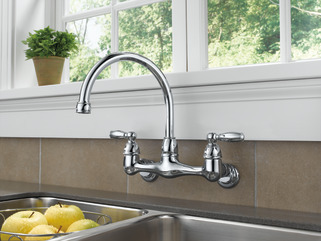 Does the spout swivel to accommodate a double sink?